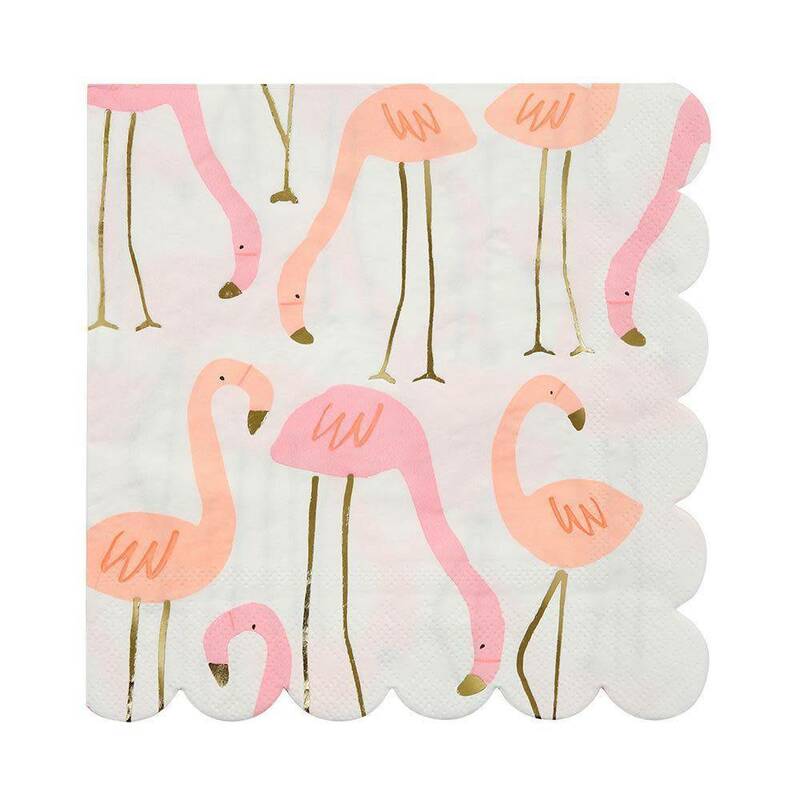 Elegant Meri Meri flamingo napkins are guaranteed to bring a smile to your face. Using stylish illustration, each of the 16 napkins within the pack comes embellished with gold foil detail and printed with a scallop-edged to showcase flamingos in shades of neon pink and peach. Add a splash of style and vibrancy to your party with these exotic napkins.